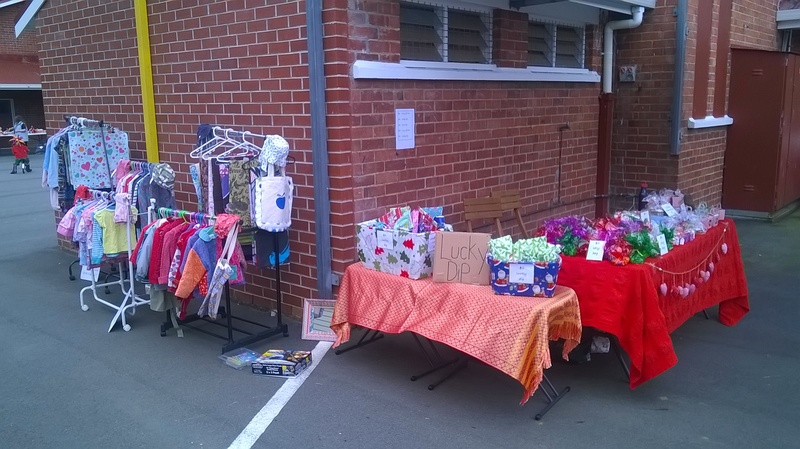 Last weekend was market day, or days… Kitty attended two local markets, one on Saturday and one on Sunday. We had the intention of selling the normal items which Kitty sells, clothes, etc., yet with the added ingredient of Christmas themed items. Kitty spent all of Friday making Christmas cupcakes, Gingerbread biscuits, and bags of lollies (candy for my American readers). 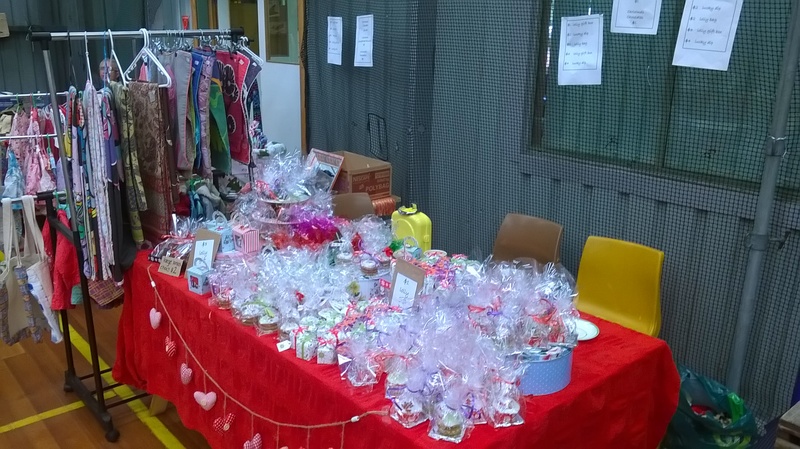 She also created gift bags of lollies and “Lucky Dip” gifts, which are small items for kids which are individually wrapped and the purchaser gets a mystery gift. Over all, we had a very productive time. Kitty made money at the market (which proves that we are doing something right) and we learned a few things. We learned the danger in selling items which have a limited shelf life… such as cupcakes and chocolate. All the chocolates Kitty made melted in the heat… which sucked. None of the cupcakes sold, so Kitty just gave them away to the other stall holders and to their children (oh, and our kids ate a dozen of them too). We learned that we shouldn’t pack up early and leave. Things were quieting down at the first market, so we started to pack the car. Then a few people who ran the market came by to buy a bunch of stuff… yet as we had already packed it all up they wondered off. On the second market day, we waited till everyone had packed up… then there was a last rush of clients who bought all the gingerbread, lots of lollies and the lucky dips too. As there were no other stalls around we had a monopoly on the business. Yesterday I received an email from the producer of the chicks, telling me that they were ready to be picked up. After a short email conversation it came to light that he lived a kilometer from my home. I spent half an hour preparing their new home before I picked them up, setting up the heat lamp and a box lined with straw. I also had to set up their water and food bowls. I went down to meet him and I pretty impressed with the parts of the property I could see. He had very nice chicken set up and his garden was pretty nice. I should say that I was more impressed with his dog… He had a gorgeous, fat, old, husky girl. She was so friendly and welcoming. 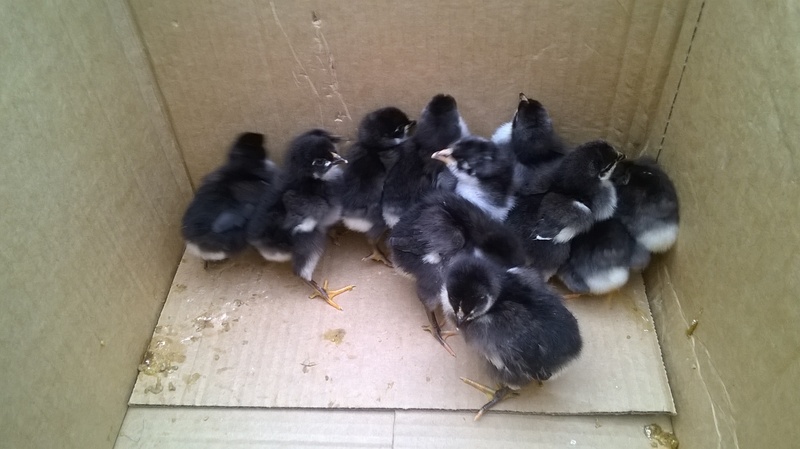 Anyway, long story short, I took ownership of 12 Australorp chicks. Here you can see them huddling in the box which I used to carry them home. I will take some nicer pictures in the next few days.